You Can Qualify to Buy a Home with a 620 FICO & 3.5% Down Payment! All too often I hear the response that mortgages are hard to come by, there isn’t money available, lenders want too much down, etc. There is plenty of mortgage money available! You can get an FHA loan for as little as 3.5% down with a FICO (credit score) of 620, a Conventional loan for 3% down with a 680 FICO or a 5% down Conventional Loan with a 620 FICO. The key ingredient is how the loan package is put together and what are risk factors involved, such as where is cash to close coming from, are there cash reserves after closing, payment shock, job stability etc. If you find that you will be on the lower end of the spectrum, the most important thing to do is be honest with your lender, disclose why you are where you are and work together to build a good case for why an underwriter should approve you. I tell clients I am writing a book about them. I get to talk to you and get to know you. An underwriter reviews you on paper. They read your story like a book. With each page turned they want answers to questions. They review your credit report. Why are their credit scores low? An underwriter sees your bank statement. Why do they need a gift for closing costs or down payment? Can they manage their bank account? It is important to put your best case forward and make sure you have a loan officer that can write your book to show the best you possible. These guidelines are specific to my company. 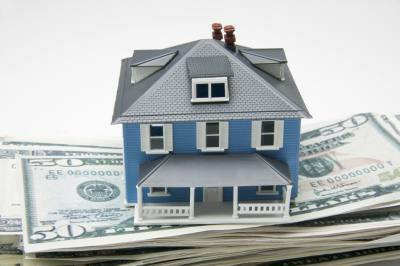 FHA will allow lower scores but you must find a lender who will do that loan. For more information please contact me at Ingrid.quinn@cobaltmortgage.com or visit my website http://www.Scottsdalemortgageexpert.com. Categories: Loans | Tags: 620 credit score, down payment, FHA, fico, glendale, goodyear, Home Buying, Home Loans, home purchase, Mortgage, paradise valley arizona, scottsdale arizona | Permalink.